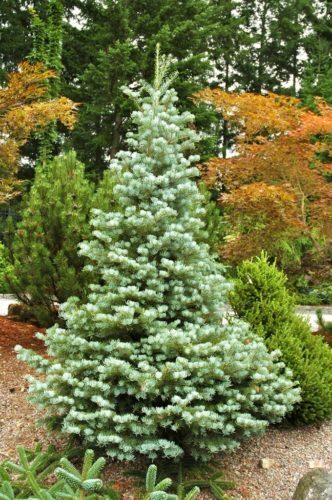 Abies concolor 'Archer's Dwarf' is a dwarf form of White fir with powder-Blue needles and a regular, conical shape. Its needles sickle-shaped and slightly incurved, and the branchlets tend to curl downward and inward, created a striking effect. Typical rate of growth in most areas is 3 to 4 inches (7.5 - 10 cm) per year, producing a 40 inch (100 cm) tall by 28 inch (70 cm) wide, tight, conical specimen after ten years in the landscape. J.W. Archer of Farnnham, United Kingdom is credited with this cultivar's origin. Gordon Haddow of Kenwith Nursery, UK, introduced it to the nursery trade in 1982. 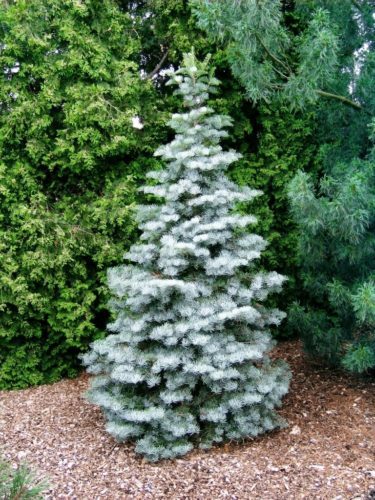 Although this species and its cultivars are very winter hardy, they perform best when planted in full sun, and in dryer parts of the garden. Abies concolor 'Archer's Dwarf' — at the Cox Arboretum, Canton, Georgia. Abies concolor 'Archer's Dwarf' — an impressive mature specimen. 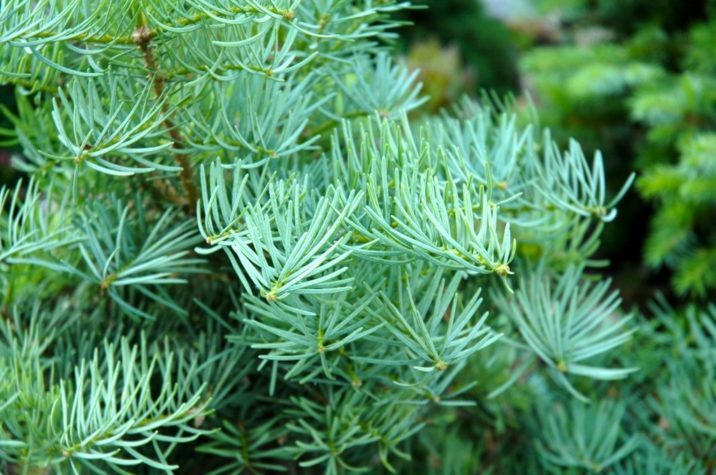 Abies concolor 'Archer's Dwarf' — a closeup of foliage detail.